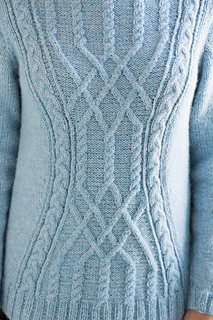 An hourglass-shaped center panel of diamond cables edged in curving braids is the centerpiece of Lyons’s sweater. 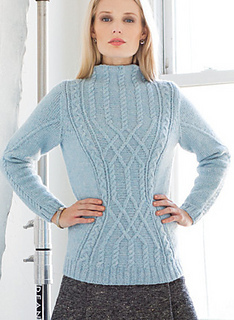 The graceful, feminine lines lead up to a funnel neckline, while cords twist and separate up the sleeves. 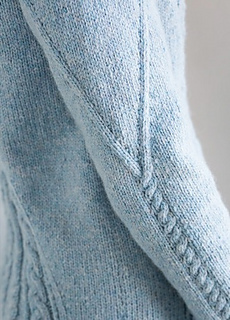 Alta Moda Alpaca from Lana Grossa/Trendsetter Yarns, a soft chainette yarn, defines the cables yet lends a very soft hand.